Yes the “Vitomeister” has a son! 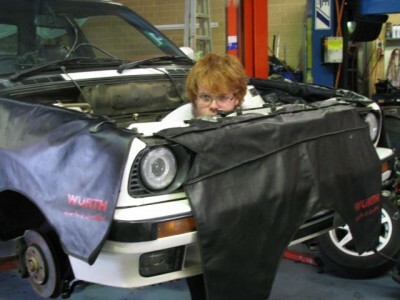 ….looks like Ronald McDonald when needing a hair cut, but still a great young guy on the right track (BMW’s not drugs!). After competing in the AEM 1-day classic this year, and doing well for his first time, Christopher Forte made his move (nagged his dad?) to upgrade for more power. 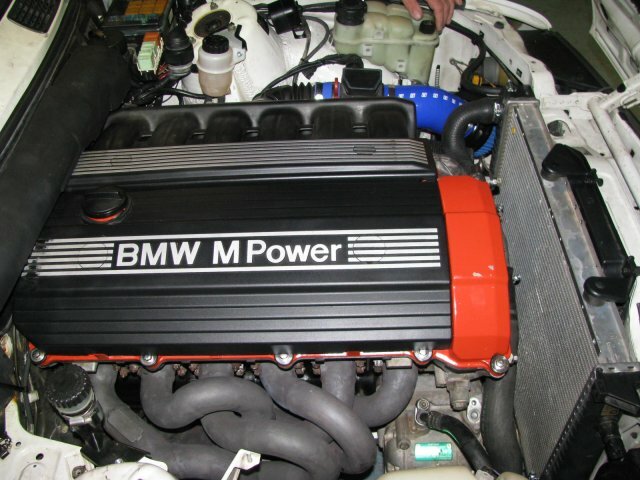 So after talking to BM-AE Malaga, Christopher is now moving from a respectable 137hp m42 1.8 to a custom conversion m50 2.5, a job we did back in 2003 for used car salesman who could not drive and on the way home smashed it on the freeway guard rails. 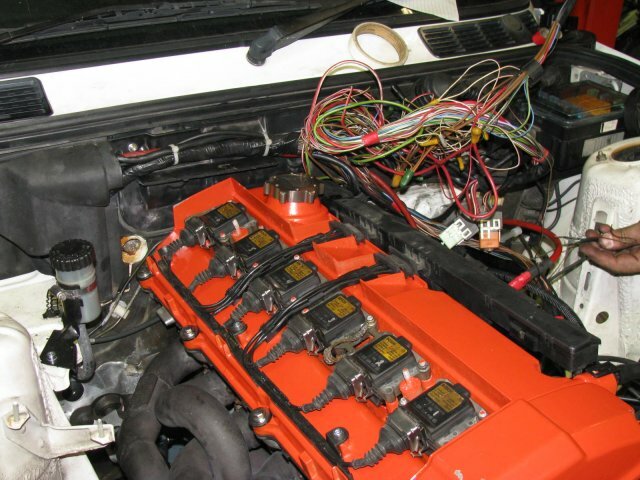 This engine conversion in that car has seen a few owners since we did it back then for him , but still very smooth and powerful. I did love to hear it when it came back to us for sale. It still has that throaty sound from custom extractors and twin 2 1/4″ stainless exhaust system! 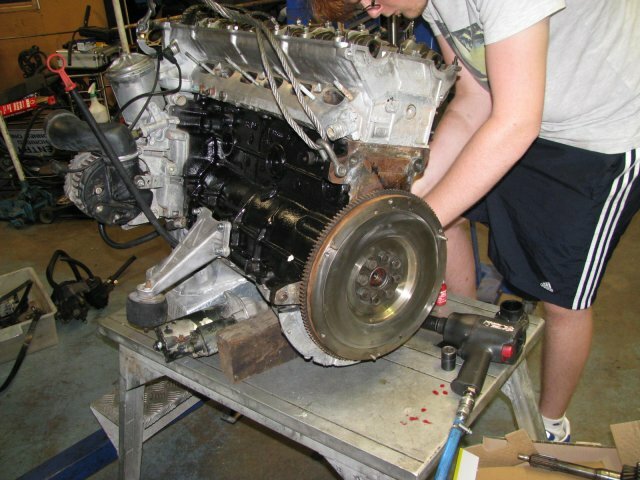 For Christopher we are using a brake booster removal kit that then gives room for the larger 2.5 inlet manifold. 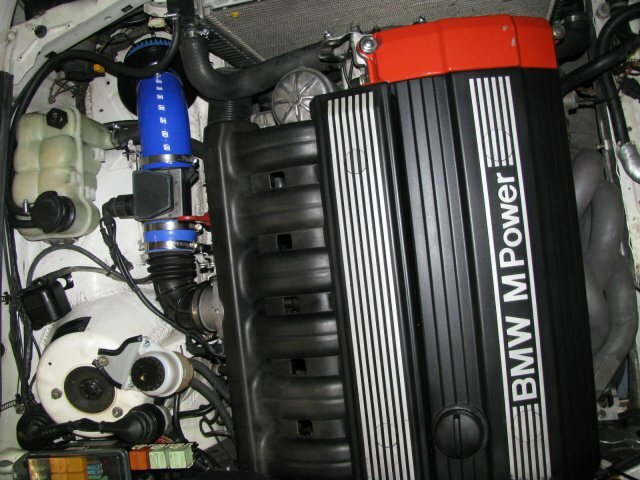 As this engine package is one of the first m50 e30 conversion types we did in the late 90′s it retains the m20 engine and gearbox mountings so we made custom mandrel extractors using the extra space on that side. Because the m20 stood upright in the engine bay 12deg more than the m50 in a e36 or e34 we also had made a larger flat oil sump! 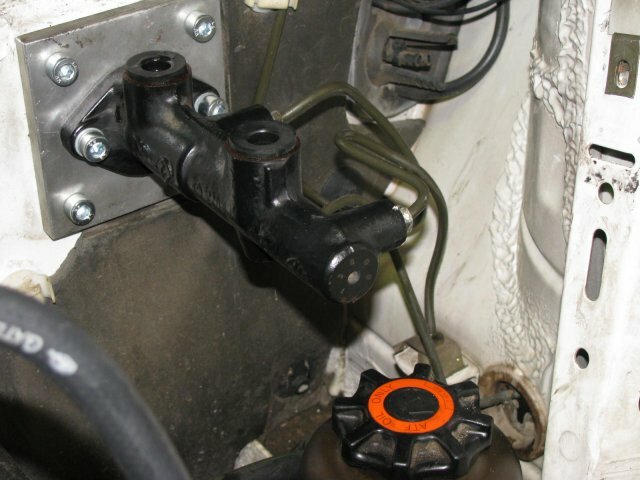 A bit of history – those specially built pipes I made originally for Brett Morse and his m50 conversion done in 1998. 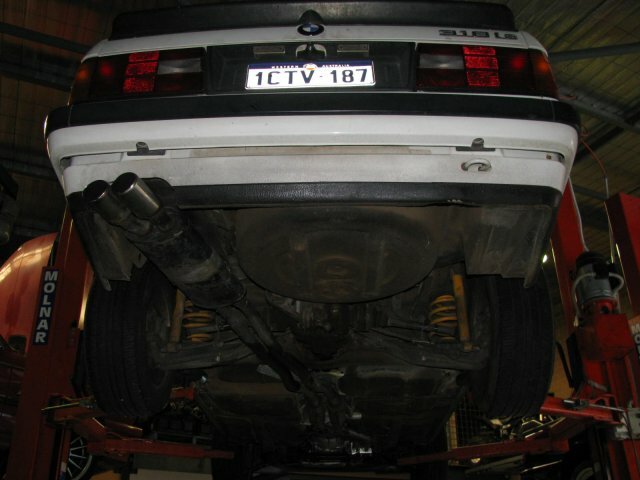 They gave 20RWHP more than another m50 e30 conversion with a set from a well known exhaust builder, same dyno same day! …. That and a custom chip to the Bosch #402 ECU gave this engine just over 160RWHP (est’235hp at the flywheel) not bad for basically a chip and exhaust job to a standard non-vanos m50 2.5ltr! 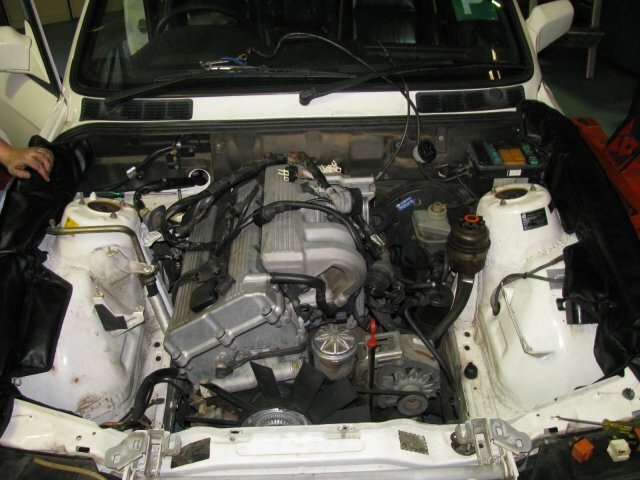 Christopher’s e30 is also benefiting from AKG Red bolt-thru Engine and Gearbox mounts, an aftermarket(B&M?) shortshift kit with new knob! and the e36 steering rack conversion that will make it feel like a go-kart as this takes it from 4 turns lock to lock down to 3.2 turns! 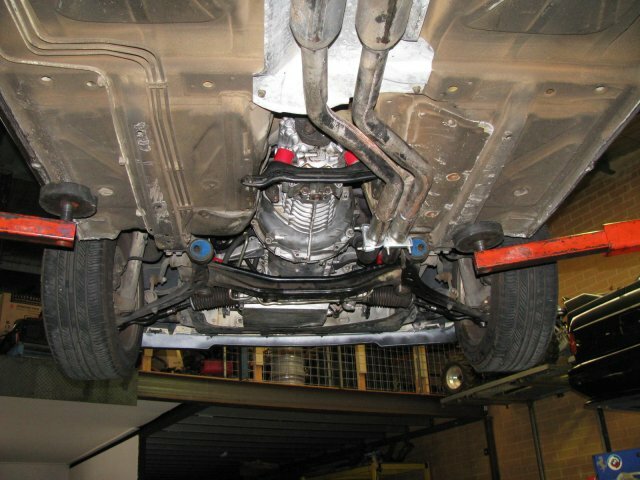 As this was a pre-done conversion we thought it would just fall into this e30!…. WRONG!!! 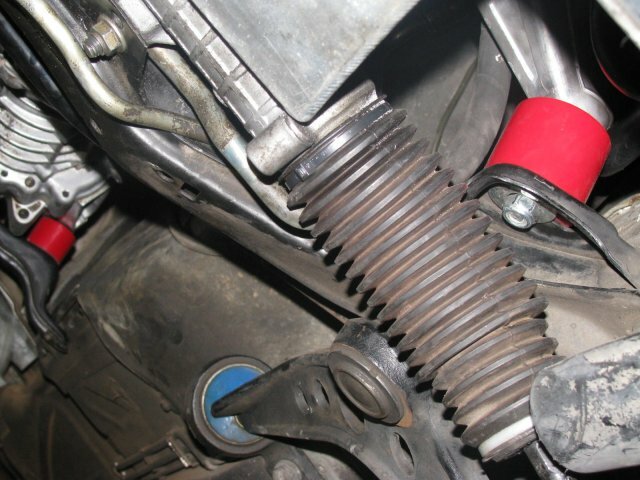 Early and late e30s are different in many small ways, tail-shaft was to long by 20mm, the gear link to the knuckle was 20mm too short, figure that one out! 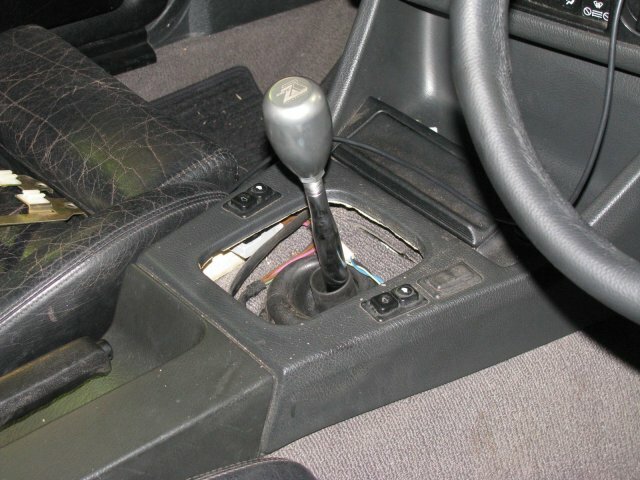 Then we decided to do a e36 steering conversion. The m50 conversion was in a early e30 with the standard ugly rack that has a more upright power head to the rack, and now the alloy knuckle just hits the hand made extractors! On the upside changing the rev counter is easier than the old e30′s, you just swap coding plugs for a 325 from a 318 and you don’t even need to remove the cluster to do it! Wiring is simple nowadays, just buy a e30 to m50 mini-harness from AKG and plug it in! 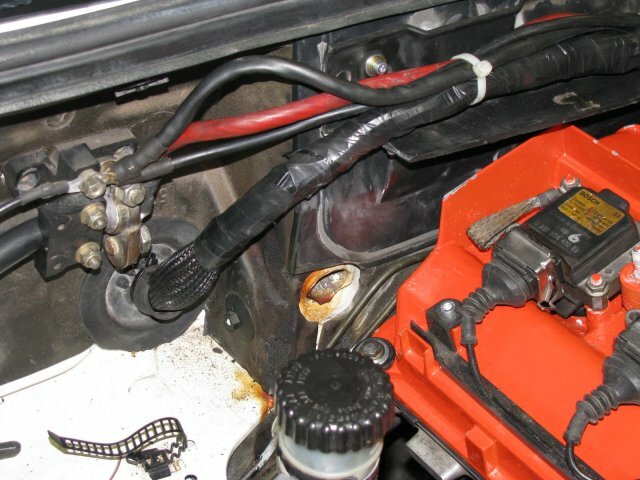 the rest of the wires tidy up into the e30 plastic cover on the bulk head……Done! In conclusion? 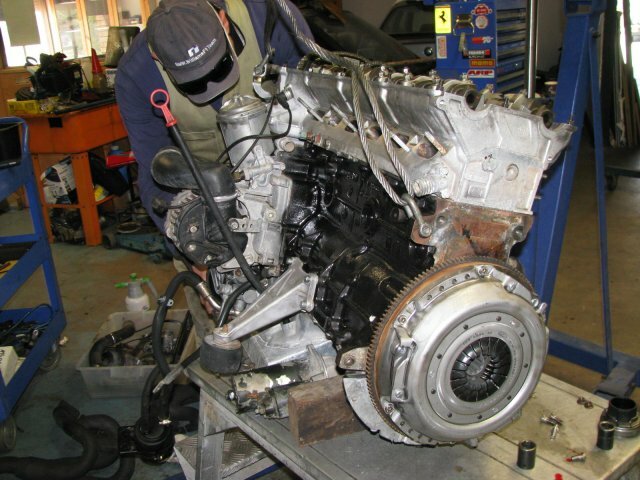 if you can and have the money, buy the m50 engine and gearbox set complete!!…. the combination of price of this conversion from BM-AE and the extractors it has made this worth the time and trouble! 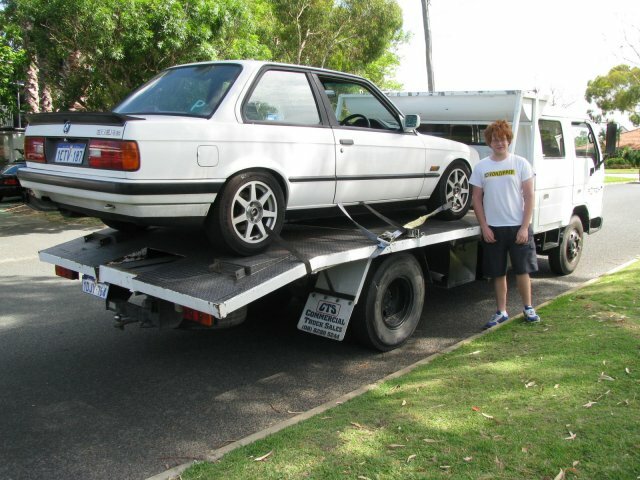 Hope you love your e30 now Christopher it sounds and looks FANTASTIC! 1.Ireland’s PBR twin piston on 315mm Rotor front brake package. 2.BMW’s 8 bolt diff with 3.73 ratio,when 6 bolt dies!Ronald? Restored back to glory days!